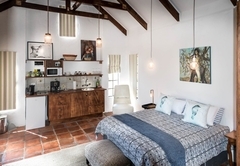 Boerfontein Nocellara Apartment is a property providing self catering in Paarl for up to 2 guests visiting the Cape Winelands region. 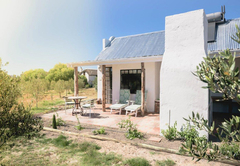 Boerfontein, which means ‘farmers fountain’ is situated in beautiful Paardeberg area and is within close driving distance of wonderful wine estates and race horse studs. 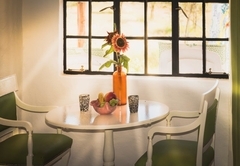 The self catering units provide accommodation in a tranquil, country atmosphere. 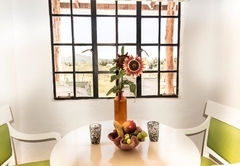 Nocellara is a ground floor apartment which is perfectly suited to a couple. 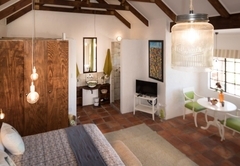 The large, open plan studio is furnished with a King-size bed and has a private bathroom with a shower. All linen and bath towels are provided as are complimentary toiletries. The apartment has a fully equipped, modern kitchen as well as a cosy dining and lounge area with a large flat screen TV. 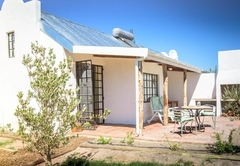 Nocellara Apartment looks out onto an olive grove and has a private, covered terrace as well as a private braai facility with firewood, blitz, braai grid and tongs provided. There are wonderful views of the Perdeberg Mountains. Floor apartment and is ideally suited for a couple. There is one shower room equipped with all the finishes. 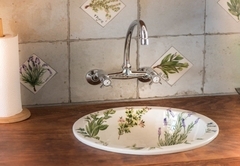 All linen and bath towels are supplied together with bathroom consumables. 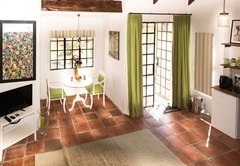 Fully equipped, modern, kitchens and have dining and lounge areas. Response timeBoerfontein Nocellara Apartment typically responds to requests in 5-10 minutes.